At Country Nissan, we're sure of one thing: You're Gonna Love It Here! Whether you're visiting us from Hadley, MA, or surrounding areas such as Amherst, Northampton or Chicopee, we'll treat you like part of our family the moment you walk through our doors. You may be stopping in to shop for a new or used car, truck or SUV, or you might be looking to service your Nissan or buy new OEM Nissan parts. Whatever you require, we're here for you every step of the way. Our family-owned and -operated Nissan dealership in Hadley, MA, is different from other MA Nissan dealers. Come see why today! We ensure the car-buying experience is never stressful when you shop at Country Nissan. Our friendly sales staff will take the time to address your needs, as will our Nissan financing team, service department and management. 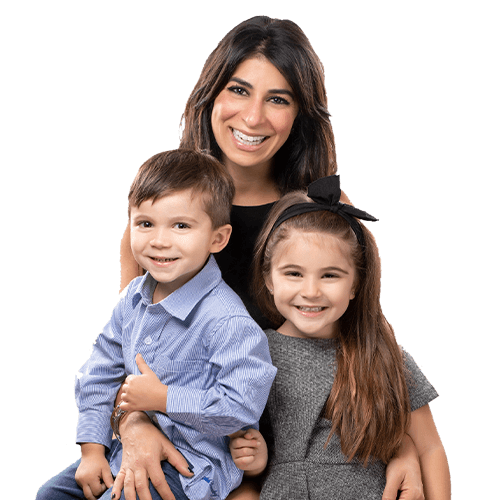 The president of TommyCar Auto Group, Carla Cosenzi, cares deeply about connecting to the roots of our Western Massachusetts community by offering an unparalleled customer experience. She also achieves this by giving back to the community directly by supporting local charities and raising money for important organizations such as the Dana-Farber Cancer Institute. Carla once said, "Giving back to my community and the communities that surround it isn't just important to me … it's essential!" and she constantly lives up to her reputation as a compassionate and community-driven leader. When you do business with us, your business does good! Our Live Market Pricing is upfront and transparent, and we're proud to offer our Best Price Guarantee. If our price is not at least $250 or better than any advertised price, we'll give you $1,000. Our TommyCard rewards program gives you 15% back on every dollar you spend with us, plus you can earn up to $2,000 off your next vehicle purchase. When you visit us online, you can look at available discounts, value a trade, research payment plans and more with the convenient Click. Drive. Buy. tool, which lets you shop from the comfort of your home. Any vehicle you search for includes a virtual video tour, so you can see the Nissan models we have for sale inside and out before visiting us for an in-person test-drive. We offer daily, low-price conventional oil changes for only $29.95, guaranteed lowest tire prices, complimentary car wash and multi-point inspection with any paid service by factory-trained technicians using only genuine Nissan parts. Schedule a service appointment online. Since their father, Tom Cosenzi, died in 2009 of brain cancer, owners Carla and Tommy have built a legacy of giving that includes the Tom Cosenzi Driving for the Cure Golf Tournament, which has raised nearly one million dollars for the Dana-Farber Cancer Institute. To date, Country Nissan has contributed more than $2 million to many local organizations. The Tom Cosenzi Scholarship program is awarded to graduating high school students at Hopkins Academy in Hadley and Northampton High School who plan to attend a two-year or four-year college, university or trade school. Want to refer a friend to us? If you do and your referral buys a new or pre-owned car from us, we'll put $100 into your TommyCard account! Our Nissan dealership is conveniently located on Route 9 in Hadley, MA, right near the Norwottuck Branch of the Mass Central Rail Trail, so you can pass some time by getting a bit of fresh air on this fun bike path with one of our loaner bikes! Conveniently located on Route 9 in Hadley, right near the Norwottuck Branch of the Mass Central Rail Trail, so you can pass some time by getting a bit of fresh air on this fun bike path with one of our Loaner Bikes!